Under the tab Appearance -> Topbar Countdown you will find the general settings of the plugin. The options are divided into three tabs to give you a clear overview. Under the tab background, you will be able to configure the background settings of the topbar countdown. 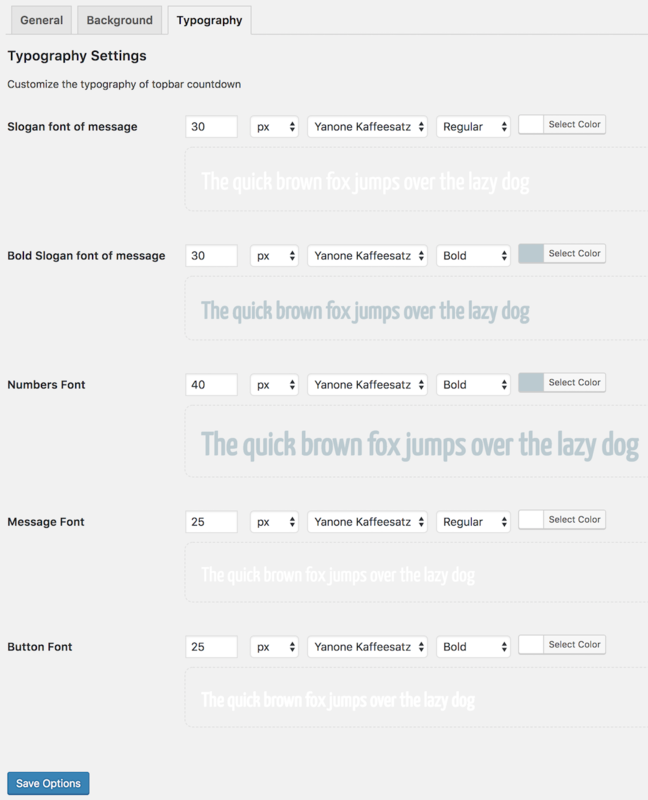 Under the tab typography, you can set the font type, size, and color of the font and button of the topbar countdown. In the following screenshot, you find the options with the click to preview buttons unfolded. The plugin allows you to use your own custom templates and stylesheets. In order to customize the style of the plugin, you can easily create a file called within themetcountdown.css folder. The file will be automatically loaded from your theme instead of the plugin folder. In this way, the filestyle.css contained within the plugin (/assets/css/) will be replaced with your stylesheet. Please keep in mind to copy and paste the code contained within this file if you need that theme folder. 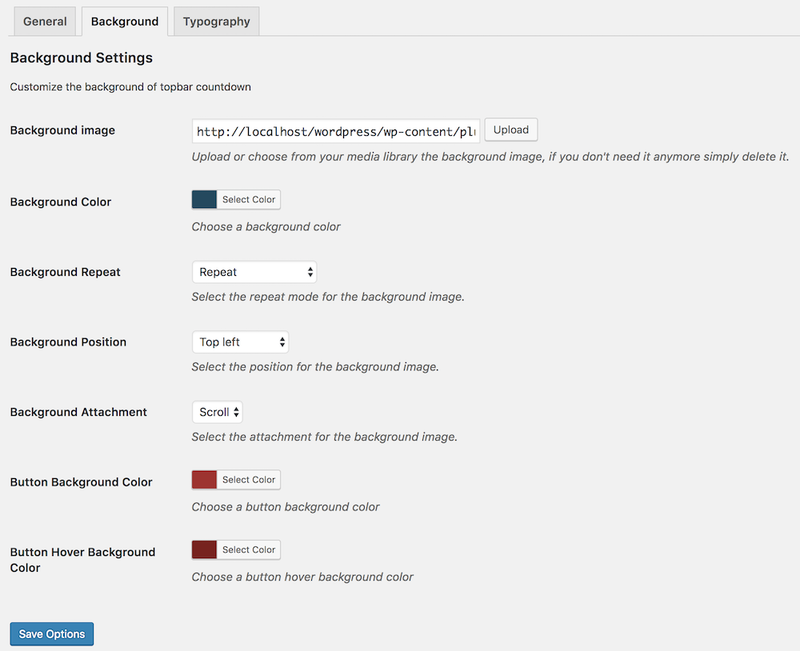 If you need to include our plugin within your theme you can also customize the templates. 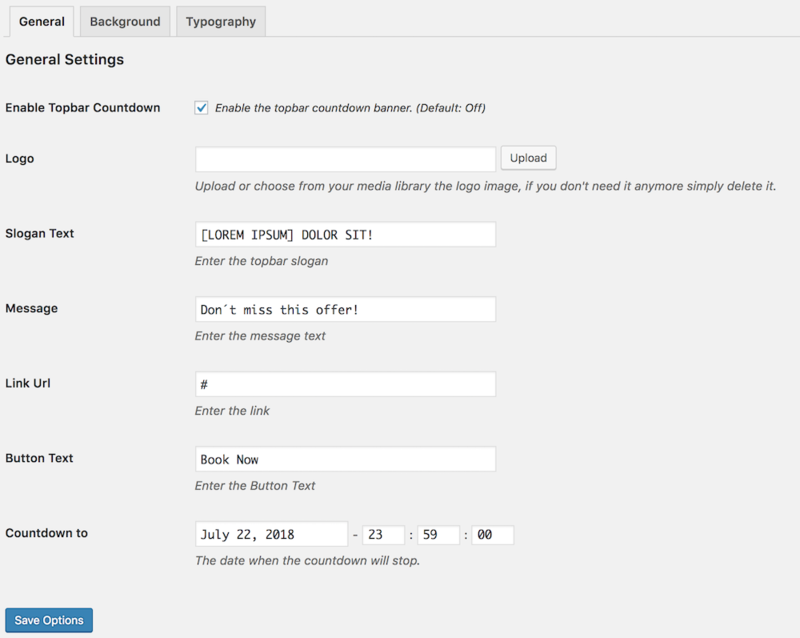 Copy the filetcountdown.php from the folder “templates” of the plugin folder and paste into the theme folder and automatically the plugin will load the templates from your theme instead of the plugin folder.